Quantum TC Mod, which comes with different output modes to deliver different flavor and cloud, is powered by single 18650 battery to fire up to 80W. In addition, it adopts OTA (over-the air) upgrading and magnetic battery cover.OLED screen will clearly show status of vape and multiple protections will ensure high performance. Quantum TC Mod, which comes with different output modes to deliver different flavor and cloud, is powered by single 18650 battery to fire up to 80W. 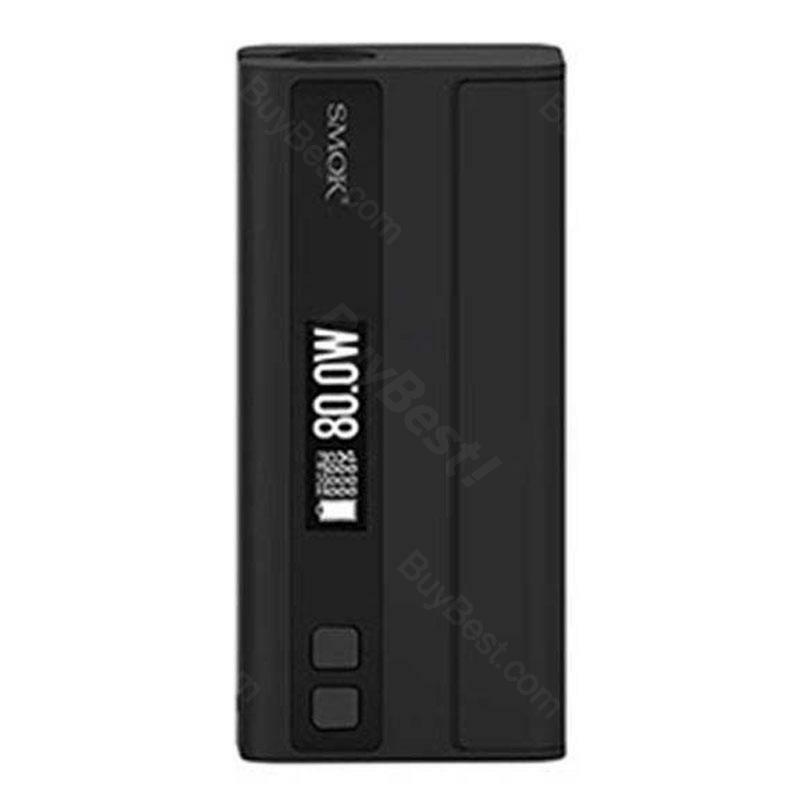 In addition, it adopts OTA (over-the air) upgrading and magnetic battery cover.OLED screen will clearly show status of vape and multiple protections that include intelligent atomizer recognition, puff monitoring system, 12 seconds cut-off, short circuit protection, over-heat protection and low battery Warning will ensure high performance. Ergonomic design offers comfortable handle. What are you waiting for? Just get it to enjoy tne excellent vaping. • Quick link: 18658 battery. Its small as the Evic Mini, has a Fire Button like Istick TC 100, Display is very clear. Uniqe is Bluetooth Upgrade Function .dose the 80watts and looks great. For 22mm Atomizer there is no Gap. I do recommend this mod to every Vaper..
Nice little mod I can take anywhere with me in my pocket! Easy to use for beginners if need be. The flavor tank on this is outstanding just wish they would of opened up the airflow a bit more cause it’s a tight draw. Get a different drip tip for it because the resin plastic one that comes with it gets hot after two pulls and burns ya. Overall though great mod great battery life for traveling. 80W Smok Quantum TC Mod is a dual 18650 battery powered (sold separately) touch screen device capable of outputting up to an astounding 200W of power with it's upgraded chip set, alongside full temperature.